Amy Billone - AMY BILLONE is a poet and a scholar who has published widely in both creative and academic journals and books. She holds a B.A. in General Studies in the Humanities from the University of Chicago and an M.A. and Ph.D in Comparative Literature from Princeton University. Billone’s recent poetry collection THE LIGHT CHANGES (2013) was listed by Kirkus as one of the Best Books of 2013 and won the IndieReader Discovery Award in Poetry in 2014. This poetic memoir invokes the biographical and creative worlds of Elizabeth Barrett Browning, Sylvia Plath and Virginia Woolf as it opens up pathways toward light even in the most unimaginable darkness of our personal experiences and the times we inhabit today.Billone is currently an Associate Professor of English at the University of Tennessee where she teaches courses on 19th Century Literature, Children’s and Young Adult Literature and World Literature. Her areas of expertise include Romanticism, Children’s and Young Adult Literature, Victorian Poetry, Gothic Studies, Creative Writing, Women Writers and Continental Poetry. 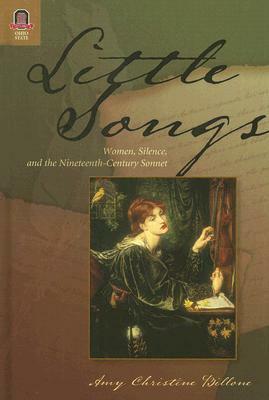 Her scholarly book LITTLE SONGS: WOMEN, SILENCE, AND THE NINETEENTH-CENTURY SONNET (2007) is informed by her unique perspective as a woman poet. As the only extended study of nineteenth-century female sonneteers, LITTLE SONGS sheds light on the overwhelming impact that silence makes, not only on British women’s poetry, but also on the development of modern poetry and thought. She also wrote the Introduction and Notes for the Barnes and Noble Classics edition of PETER PAN (2005). She lives with her two sons in Knoxville, Tennessee.